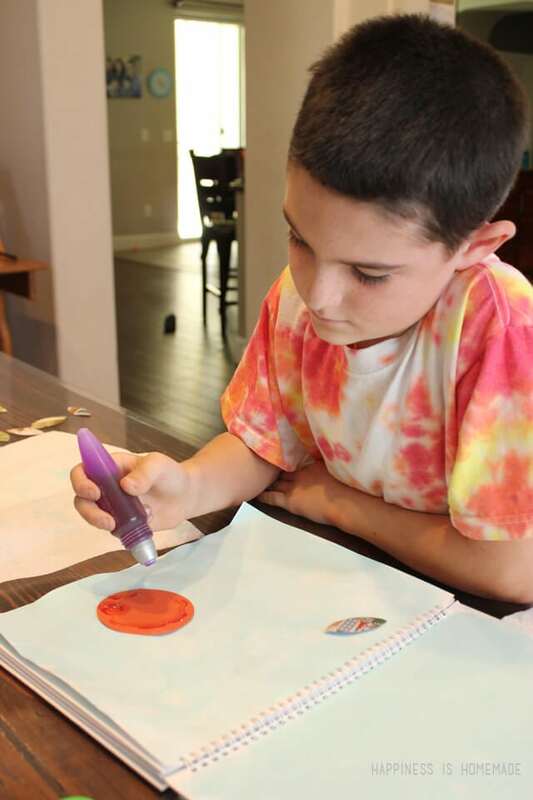 Our friends at Elmer’s recently sent us an adorable vintage-style metal lunchbox filled with all the supplies needed to create a mosaic animal collage art project, and my youngest son couldn’t wait to dive into it! Simon was beyond excited for what he calls “Making Time” (that’s arts & crafts time in kid-speak), and his enthusiasm is always contagious. 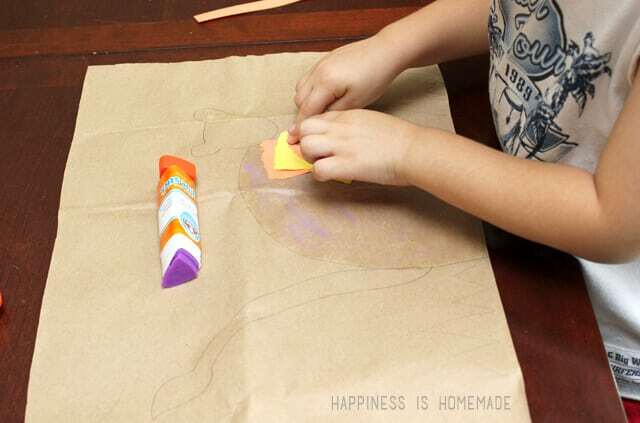 We started by cutting open a paper grocery bag to create a large sheet of paper to serve as the background. 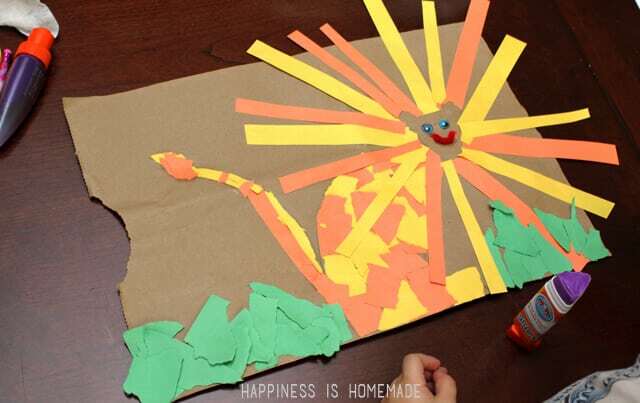 I held on to the outside of Simon’s hand and helped him draw the outline of a lion in pencil, and then he filled in the shape with bits of torn construction paper. 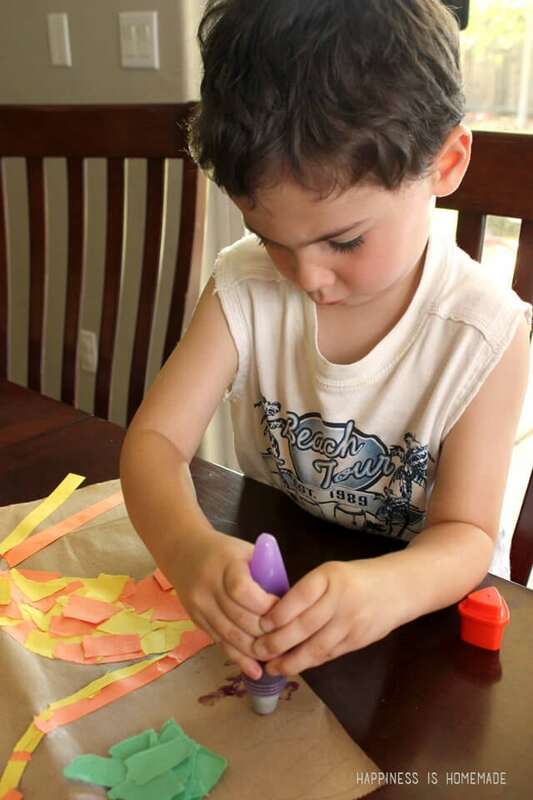 The Early Learners Glue Stick is perfect for his hands because the bulky triangular shape encourages a proper grip (plus it keeps it from rolling off of the table – bonus points!). Simon added some torn green paper grass to the bottom of the page (I love how serious his expression gets when he’s deeply focused on his task!). 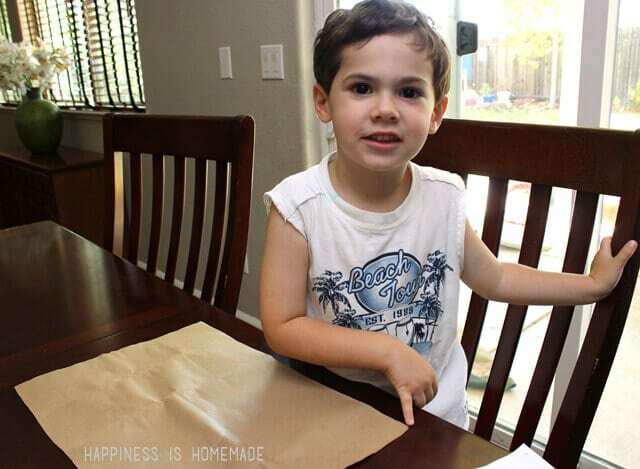 He’s a big fan of the Early Learners Glue Pen as well, and uses the two types of glue interchangeably as he desires. 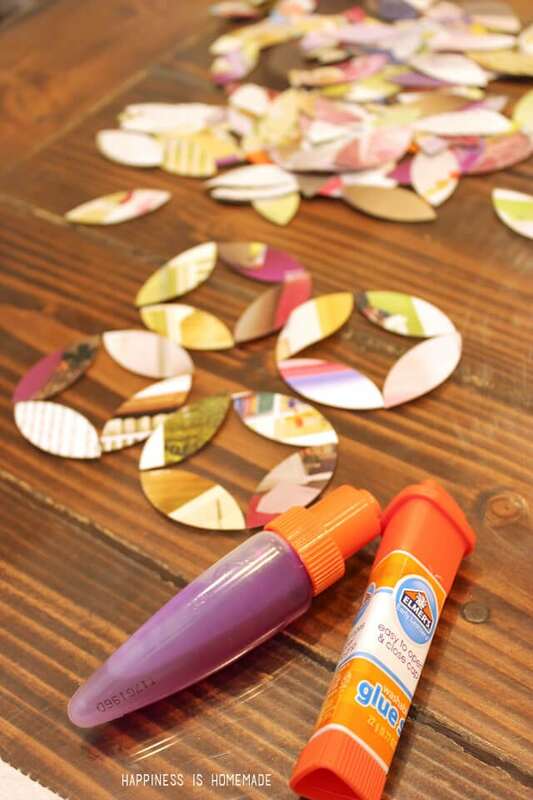 I’ve found that the Glue Pen is great for gluing down heavier or bulkier items like feathers, rhinestones, beads, and pom poms; the Glue Stick is perfect for sticking together paper, sequins, confetti and other lightweight objects. All done! It only took us about twenty minutes from start to finish, and I loved every single minute of it. I can’t get enough of watching my boys’ excitement when they’re engrossed in creating something unique and special. I can actually see their confidence growing in large bursts every time they master a new technique or medium, and each time we sit down together to craft, we create bonding moments that will have lifelong benefits. It truly is my most favorite thing in the whole wide world, and I feel a tremendous amount of gratitude that we are able to sit down and share these treasured times together. 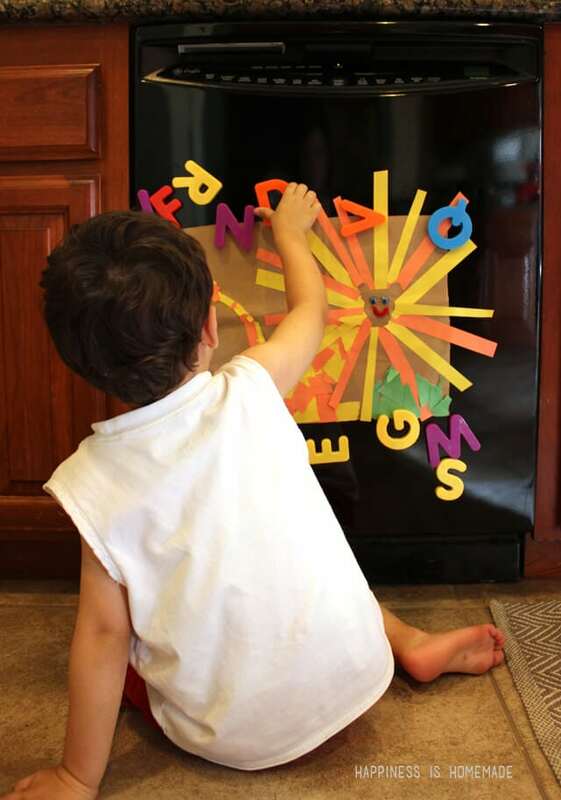 Simon was so proud of his finished masterpiece that we immediately had to hang it up (on the dishwasher because our stainless steel fridge isn’t magnetic!). It didn’t last long here though – Simon quickly declared it a birthday gift for his great-grandma, and he wrapped it up for her birthday party the following day (no surprise, she loved it!). 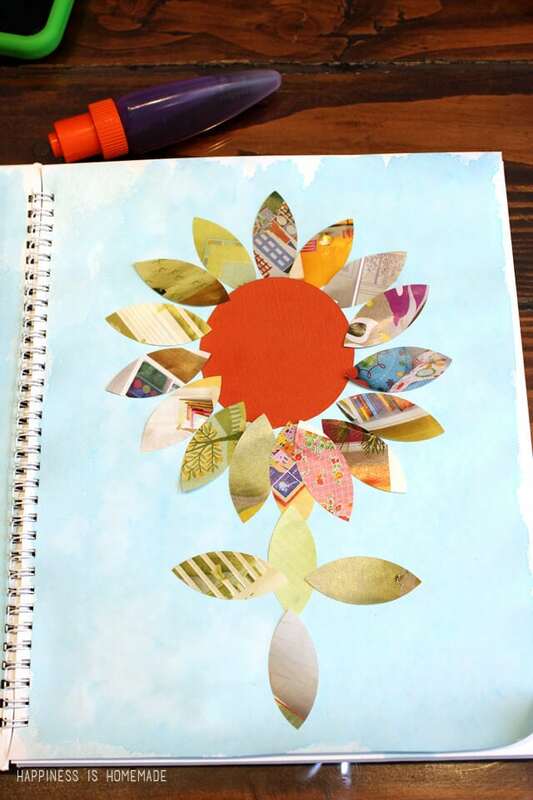 …when I came back, I discovered that Sutton had taken out his art journal, snatched up the Early Learners Glue Pen and the magazine scraps, and was busy at work creating his own collage piece. I love spontaneous moments of creativity! 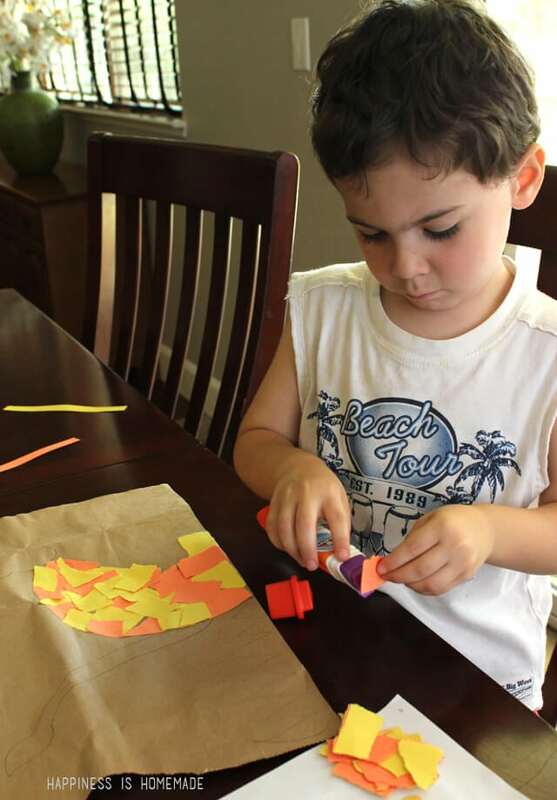 ♥ For more fun craft ideas, be sure to sign up for the Elmer’s Newsletter and check them out on Twitter, Facebook, Instagram & Pinterest! I love glue pens! 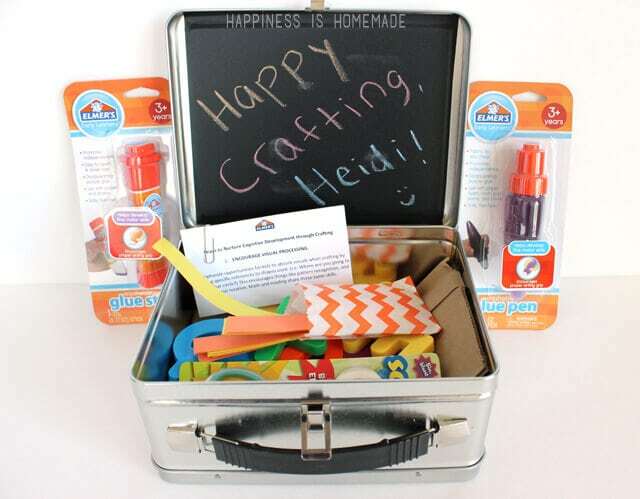 These types of projects keep my kids busy for hours too!